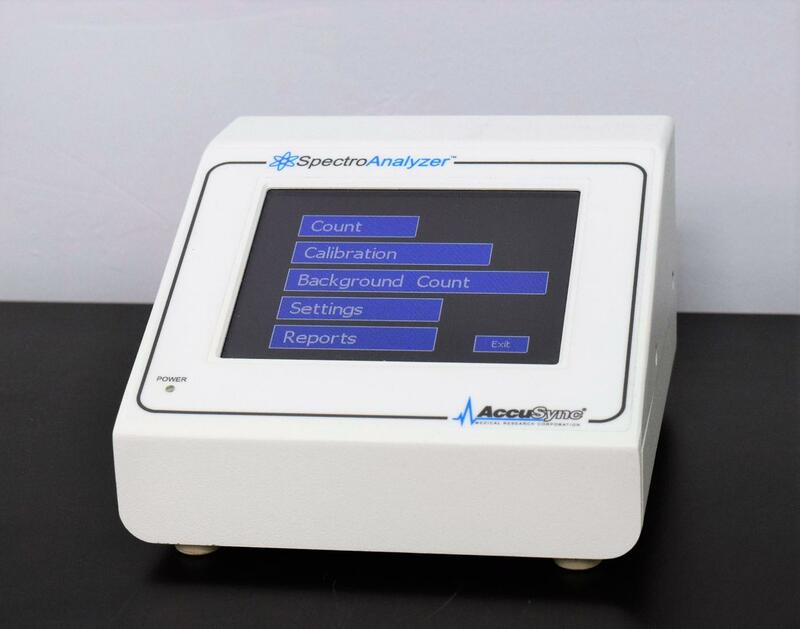 AccuSync Spectro Analyzer SA1000-1S Single Channel PHA Controller . New Life Scientific, Inc. This laboratory equipment is a single channel gamma counter. The timer on this can be preset to any number up to 1000 minutes using the menu. The digital rate meter indicates 0-10 million counts per minute with automatic change of range. The RS-232 port for input and output allows a computer to change settings. Since this is just the controller this would make an excellent replacement unit for a lab that has the complete system. If this is what you are looking for, why pay the new price of $4,145 when your lab can purchase this for minimal cost. The technician started a run but without the complete system, no data was received. This controller was last calibrated October 2017 and is due to be calibrated again.